Henriette "Henny" Moed Roth was born in Antwerp, Belgium on November 30, 1923, as the youngest of three children. She had to flee the country at the age of 16, when the Germans began to invade Belgium, and her extended family scattered in all different directions. In an amazing book she created, Just a Jewish Girl: A Pictorial Family Album of Pre-World War II in Antwerp, you'll learn an incredible story of resilience during some very turbulent wartime years. It commemorates the family she loved, the people lost to the holocaust, and the remarkable journey that brought her to this country. Henny has dedicated much of her life to understanding her family roots, to the truest sense. "The Moed family of Suchowola, Poland (formerly Russia) left their town at the end of the 19th century. The elder brothers came to Antwerp and established themselves in the diamond business. Ephraim and Chaijja Moed took the rest of their children to Ottoman Palestine. By 1910 all six of the Moed sons and their three married sisters were living in Antwerp. That summer their parents came to visit and they returned to Jerusalem where they lived out their days." "On the morning of May 10, 1940, I woke to the sound of gunfire. The German planes flying over the Antwerp harbor were dropping bombs near the Cathedral of Our Lady. The Germans had invaded Belgium. School classes had been suspended that day. My best friend, Yvonne De Laet, and I walked home from school, and embraced each other which we had never done before. She wished me, "Bon courage", meaning, "Be strong of heart." This affected me deeply, because she was not Jewish and she knew I was; we were all aware, of the Germans' treatment of the Jews." (condensed version of text). 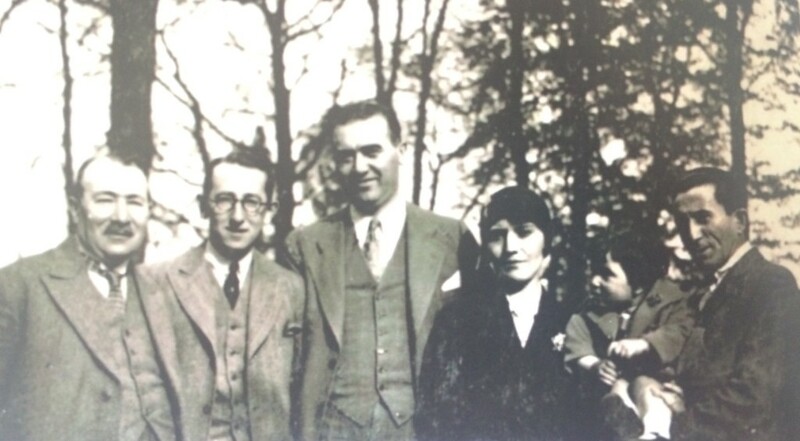 Paul Moed, Uli "Isi" Beck, Sally "Shulim" Beck, Salome "May" Moed Rakower, Joseph "Josi", and Mark Rakower Salome hid out with her son Raymond during WWII. They both survived and he went on to become a physicist. Her husband Mark and eldest son Joseph were murdered in Auschwitz. Henny's book is a reminder for us all on how pictures can so powerfully elicit memories, connect us to our past, and often tell us something about our ancestors.